(NaturalNews) Children adore the Sesame Street character Elmo, whose childlike innocence and sunny attitude have made him a favorite of young and old alike. And it's that widespread fondness for the fuzzy little red muppet that Surgeon General Vivek Murthy and the United States Department of Health and Human Services (HHS) are betting on as they hijack the trusted childhood friend and turn him into a mouthpiece for the HHS and its pro-vaccination agenda. Murthy recently blogged about his new video made in cooperation with the Sesame Workshop, a 30-second public service announcement heralding the importance of vaccinations. In addition to the short PSA, the HHS had several versions of the video produced -- including a nearly three-minute video distributed on YouTube, through the combined efforts of HHS, Sesame Street and The Daily Dot. I must warn you: The video content is truly deceptive and disturbing. Right from the beginning, you see subtle messages designed to manipulate your thoughts and feelings about vaccines. And the saddest part of this video is that millions of people will be fooled (and harmed) by its destructive message. Look carefully and you can easily see the magazine that Elmo is holding, at the beginning of the video, to "calm" any anxiety about vaccines. Plus, if you listen carefully, see if you can hear the song Elmo sings, at the end of the video (just before he gets vaccinated). How does this video make you feel? I'll be blunt, you are NOT being told the entire truth about vaccines. If you do just a little basic research -- you'll uncover information never discussed in the mainstream media. To learn more about vaccine safety and how to really eliminate the threat of infectious diseases naturally, visit VaccineWorldSummit.com and get immediate access to this lifesaving information. How could anyone tolerate these dirty little tactics to manipulate our minds? Using a brand that typically provides young children and their parents with sound advice about safety and well-being -- such as the importance of bicycle helmets and good oral hygiene -- the HHS video featuring Murthy and Elmo includes misleading advice and falsehoods presented as facts. It also perpetuates misconceptions about the effectiveness and safety of vaccinations while simultaneously downplaying vaccine dangers. For example, in the video, Murthy tells Elmo that vaccinations are shots that help him stay healthy and encourages Elmo to tell all of his Sesame Street pals to get vaccinated as well. He likens getting vaccinations to using an umbrella in the rain or a helmet while riding a bike. The major problem with those analogies is that the most recent quarterly report from the Department of Justice made to the Advisory Commission on Childhood Vaccines -- detailing vaccine injuries and deaths -- stated there were 117 cases of vaccine injuries and deaths compensated between November 16, 2014, and February 15, 2015, alone (does that sound "safe" to you?). It's also worth noting that the settlements represented by vaccine injuries and deaths included in the DOJ quarterly reports likely represent only a small fraction of the actual vaccine injuries and deaths occurring in the nation today, because few Americans realize that the National Vaccine Injury Compensation Program exists or even that it is not possible to sue a pharmaceutical company in the U.S. for injury or death caused by vaccination. A November 2014 report by the Government Accounting Office criticized the government for not making the public more aware of the program. Those who are aware of the program often wait years for compensation, and those filing claims of autism due to vaccines are not heard. Murthy also tells Elmo that vaccines protect him from germs and that vaccinations are necessary to help his body ward off germs that would otherwise make him sick. However, many vaccinations actually introduce organisms into the body to cause an immune response. In fact, cancer patients and others with weakened immunity are routinely warned to steer clear of recently vaccinated people to avoid increased exposure to germs. Near the end of the video, Elmo receives a shot after being told by Murthy that vaccinations only hurt a little bit. In the video, Elmo distracts himself by singing a song and does not realize he has received a shot. Listen carefully to the words and you'll see the clear attempt to manipulate the minds of our children with a "pop" song called "Playas Gon' Play." In reality, children have a broad range of reactions to receiving vaccinations, from mild pain at the injection site to fever to debilitating injury and even death. But, of course, this video neglects to fully inform the public about vaccine dangers. Taxpayer funds are being used to promote vaccine toxins as "safe"
The video closes with Elmo asking Murthy why everyone does not get a vaccination. The doctor tells Elmo that that is a good question, while striking a pose as though contemplating the answer. 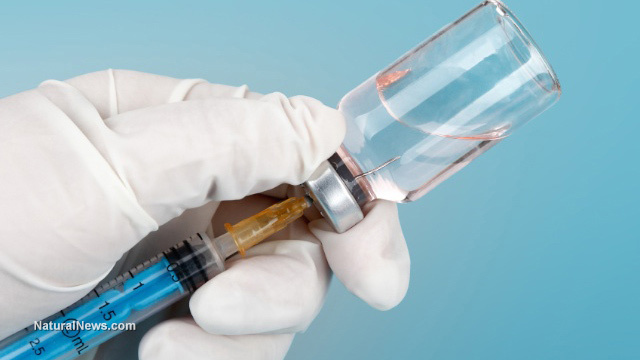 • Vaccines are manufactured with known toxins, carcinogens and other questionable ingredients, including formaldehyde, mercury, aluminum, phenol, methanol, MSG, animal virus, human virus and aborted fetal tissue, among others. • As shown by the quarterly DOJ reports, people are injured and killed by vaccines. The numbers in these reports likely represent only a tiny fraction of the actual number of cases, many of which go unreported. • Money matters more than facts. So many people were killed or injured by vaccinations in the 1980s that Big Pharma blackmailed Congress to either give legal immunity to pharmaceutical companies in court or they would get out of the vaccine business. Meanwhile, the U.S. Government holds patents on some vaccines -- including the dangerous Gardasil vaccine -- earning royalties on them. • Whistleblowers among former CDC employees have come forward with evidence that vaccinations promoted as safe and effective have been shown in research to cause autism, yet this research was swept under the rug for years. While the vast majority of conventionally trained physicians do not speak out about the dangers of vaccinations, likely due to a fear of losing their license or their own financial connections to the pharmaceutical community, there are physicians who are willing to put their careers on the line. • The producer of the movie The Greater Good, Leslie Manookian, names over 150 scientists and physicians who have questioned vaccines publicly. This flies in the face of most media accounts that characterize vaccination opponents as a fringe group of uneducated, ill-informed parents. • Among the points made by the doctors in Manookian's movie are that vaccines are all labeled "effective" simply because they are effective at causing the human body to produce antibodies. However, production of vaccine-generated antibodies is no guarantee that a vaccinated person will not still come down with the disease. There have been a growing number of cases in the U.S. where vaccinated populations have been affected by disease outbreaks for the very condition they were vaccinated against. To get the full story about vaccine safety and how to eliminate the threat of infectious diseases, visit VaccineWorldSummit.com and gain immediate access to this lifesaving information today!